It’s FRI-YAY….and you know what that means. It’s time for Salvage Sister & Mister Feature Me! There is so much great inspiration out there, and we are honored to feature YOU. 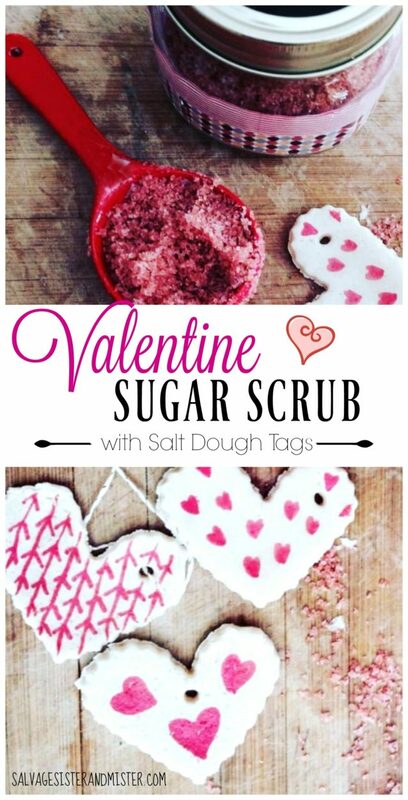 Today’s Valentine Sugar Scrub project comes from an Instagrammer @saffronanddaisies. She is an IT professional by the day who loves to do fun projects with her kids and around the house . She is also a decor enthusiast who runs a small handmade handloom fabric pillow covers from India . The Prints are made of a technique called Kalamkari which is from Southern Part of India . The fabric is 100% cotton , and dyed using vegetables . No artificial dyes or colors. 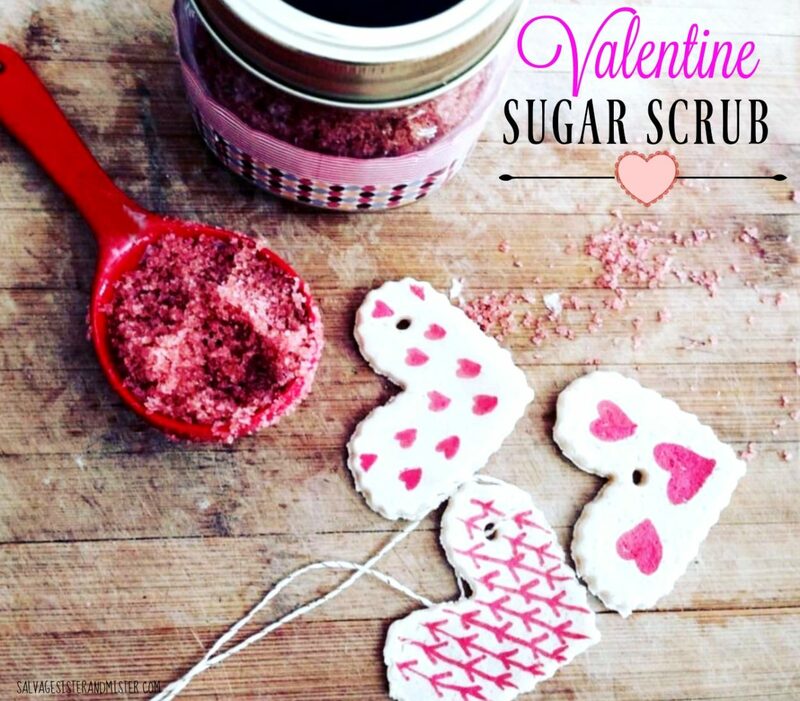 This Valentine Sugar Scrub is a great way to reuse mason jars, like from jars of jam you have saved ,and also scrapbook paper scraps. *Affiliate links used to show like or similar items used. You can read our Disclosure Policy HERE. Amount needed for your ingredients will depend upon the size of the jar and how many you are making. Basically the sugar will be the main ingredient. Ribbons scraps, washi tape, or scrapbook paper to decorate with. Basically, whatever you have on hand. With the jar, scoop the desired amount of sugar. Add some red food coloring, a scant 4-5 drops of peppermint oil along with 1 Tbsp. of coconut oil (per jar). Stir the mixture to incorporate all the ingredients. Spoon the mixture back into the mason jar. Decorate the jar as you like. 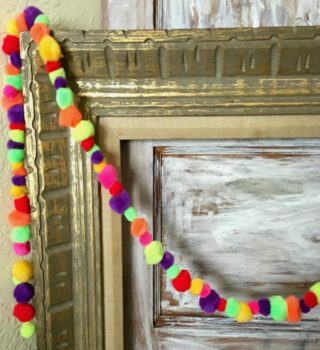 We did a post HERE on how to upcycle cans with scrapbook paper and other scraps. This will give a good idea on what you could use here. 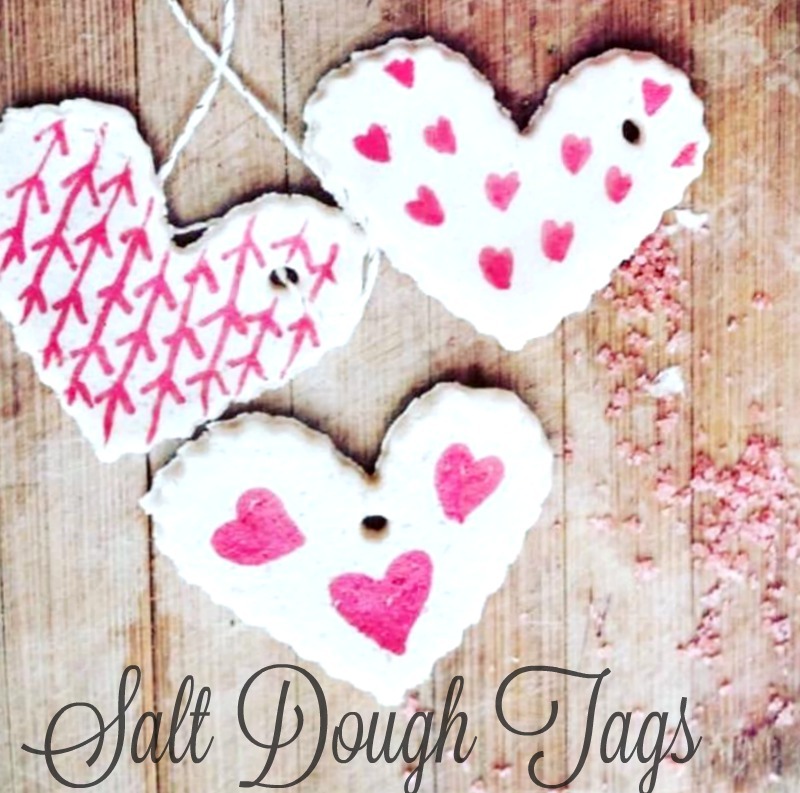 BONUS – She also included her info for those salt dough tags you can attach to the jar for décor and as an added gift. Roll out and cut shapes using a cooking cutter , she used the heart shape. Poke the hole at the top with a small dowel. She let the kids doodle the beautiful designs with sharpies. 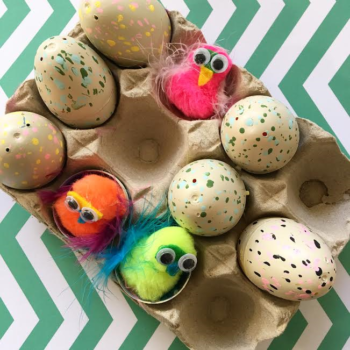 Want some more Valentine and craft Ideas? We got your back…. 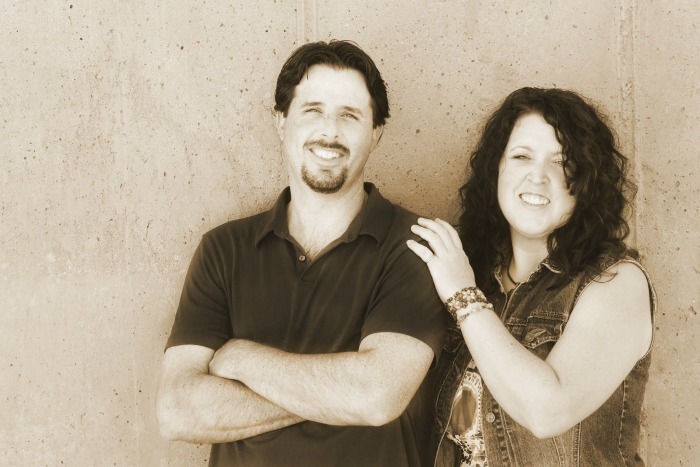 We love to help you salvage your time, money, resources, and moments fro your best life. We are thrilled to have you here and treasure your comments. If you are interested in being a feature, you can go here to get more information. This is a perfect homemade gift for Valentine’s Day. Thank you. Carmen, I hope you get a chance to make it. Sugar scrubs are such a nice gift. For once I actually think I already have all the ingredients I would need to make this type of project! Looks like the perfect thing to give to my kids’ teachers this year. Thanks so much for sharing some great talent! Leslie, That’s exactly what I hope to do, use/reuse what people already have. Thanks for stopping by. I’ve always had the intention of making scrubs and never get around to it..lol. I’m guessing the food coloring doesn’t stain? I think it’s just in such small amounts that it shouldn’t. I read many other tutorials with this same process so I felt okay about sharing it. I would let it set for a bit before using. Nicole, They feel so good don’t they? Thanks for stopping by. Thanks Emily for stopping by. I hope you and your girls get a chance to do this fun project. Lorelai, Always nice to have a simple gift idea on hand. Thanks for stopping by!! !